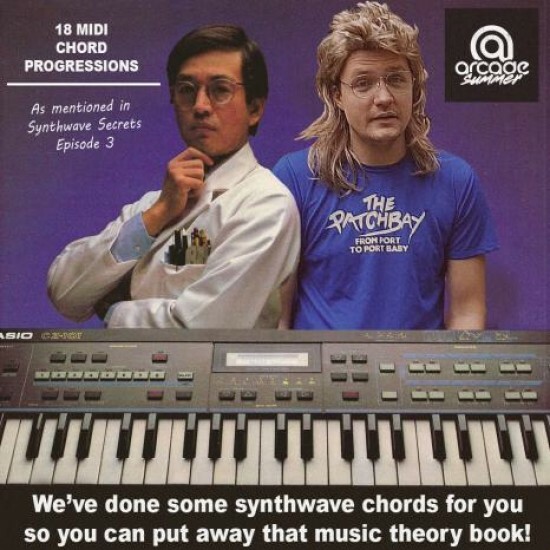 18 Synthwave '80s Chord progressions in MIDI format. Excellent to use a template, adapt to your music or to get an idea of some of the classic chords used in '80s sy..
18 Synthwave '80s Chord progressions in MIDI format. Excellent to use a template, adapt to your music or to get an idea of some of the classic chords used in '80s synth music.